There are similar stories in every corner of the world. Feelings like anger, happiness or love appear across all cultures– as does insomnia. GOODNIGHT NOBODY, by Jacqueline Zünd, explores the world of four people who do not sleep. They never wake up, because they never fall asleep, and their day lasts 24 hours. This is the life of Jérémie, Fedor, Lin Yao and Mila; each of them from a different continent but with the same problem. Jérémie, from Burkina Faso, sees everything clearer at night. 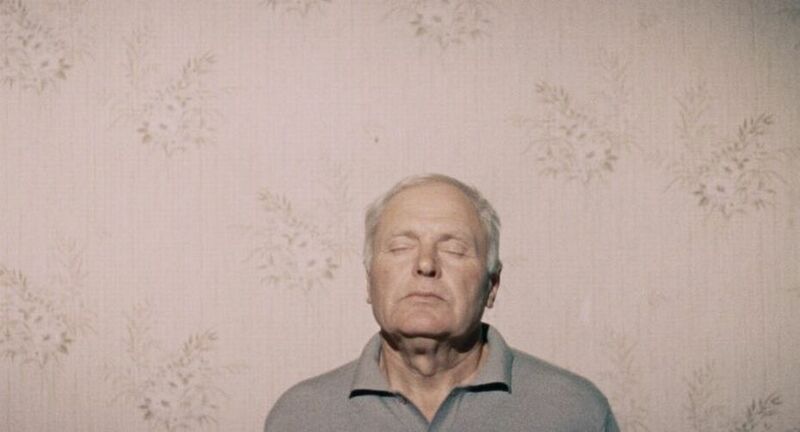 Fedor, a retired Ukrainian man, is the subject of medical investigation, because he has not slept in the past 20 years. In China, Lin Yao has suffered some family traumas, and, at the beginning, she thought that not being able to sleep was “kind of nice”, but now, that makes her feel lonely and sad. In the USA, Mila’s television is turned on all night long. Night is enigmatic since, as Mila said, “the world was created to live during daytime”. And each of them lives it in their own way; sometimes with fear and others with hope. But they are also capable of appreciating its beauty, and seeing night as the perfect scenario to ignite their imagination, like Jérémie, who sees it as the perfect moment to dream awake. The feeling of sleeplessness in GOODNIGHT NOBODY is very palpable and conveyed through the stories of its protagonists and image composition. The lighting is soft and background ‚music‘ is the silence of the image. The soundtrack in general is muted – it’s the sound that is covered by noise during the day. The four heroes live inside a bubble that seems to move between a realistic dream and a dreamed reality.